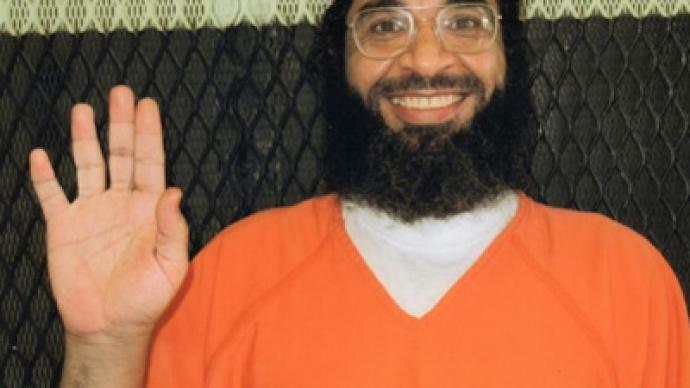 Shaker Aamer, the last British inmate held in the US prison facility at Guantanamo Bay, could be released in June, according to his lawyer. Aamer, 46, who has been held by the US in Guantanamo Bay Detention Camp since 2002, has twice been cleared for release by Presidents Bush and Obama. The fact he has remained in prison despite high profile figures in the British government calling for his release has led some to question the strength of the ‘special relationship’ between the UK and US. Clive Stafford Smith, a lawyer with legal charity Reprieve, said US government officials had told him Aamer would be released in June. Aamer has never been charged with a crime or faced trial since he arrived at the high security prison in Cuba. A group of doctors said he is currently suffering post-traumatic stress disorder (PTSD) and asthma as a result of his imprisonment. Stafford Smith told the BBC’s Victoria Derbyshire program: “I have heard from various sources, which are very reliable that he is to be released in June. Stafford Smith said the primary reason for Aamer’s impending release is Obama’s pledge to close the detention center. However, he also credited the people who have campaigned for his release. “It’s also down to the incredibly good work by so many people, like Andrew Mitchell who visited the US with three other MPs. Four cross-party MPs including former international development secretary, Andrew Mitchell, Jeremy Corbyn, former minister David Davis, and Andy Slaughter met senior officials in Washington earlier this month to negotiate Aamer’s release. Prime Minister David Cameron raised the issue with President Obama on his official visit to the US earlier this year.